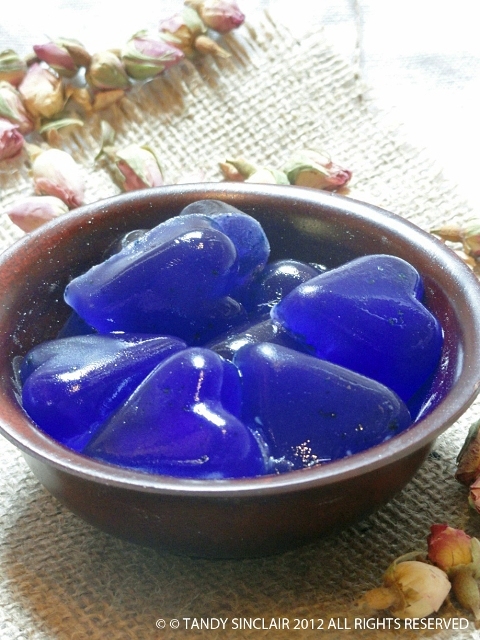 The edible petals of herbal roses make delicious conserves and are used in salads and desserts. Herbal roses prefer full sun and most of the herbal roses flower only once a year, but abundantly over a month. Old roses are very tough and need not be pruned. If you wish to prune them for shaping, do so immediately after flowering ceases as they flower on ripe wood. Harvest herbal roses when they have just opened, on sunny mornings as soon as the dew has dried. To dry, spread the flowers on flyscreen covered frames out of direct sunlight. The single-flowered varieties of Rugosa rose with their abundant, repeat flowering habit, and tolerance of cold and seaside locations, bear clusters of plum sized hips that are excellent for use in syrups and teas. Harvest the hips when fully coloured and dry in the same way as the flowers. Crystallize rose petals for use in decorations. Ras el hanout and my own masala contain rose petals. Very interesting post, as always, Tandy! I hope you had a great weekend? I just discovered the greatness of rose hips this year and can vouch for what you’re saying…amaaazing!! It would be nice to decorate a cake with crystallize rose petals! What beautiful photographs, Tandy! Crystallised rose petals are some of the most beautiful things I have ever seen on a cake. Very special. Edible flowers are so fun! And pretty, too. they must be organic if you are going to cook with them! Very interesting. I’ve only heard of rose hips being used in tea. Great post and now you´ve reminded me t hat I ought to make the most of all the rosehips I see here around me in the south of England! pick loads to take back with you! What a lovely post, I cherish your posts on herbs especially as I love to grow them myself (like the tomatoes!). I bought two fragrant roses in early summer and hope they will survive the coming winter as I want to make more rose gelée (or jelly but I prefer gelée as it sounds so sophisticated). And I love Ras el Hanout, what a great idea to add rose petals to it. I have to try this out, thanks for sharing, Tandy! thank you Barbara 🙂 I am really going to plant some rose bushes after posting this, as they are so easy to maintain! Ooh, I would love a few bushes in our garden. I must plant one or two as well! I think you mean “rahat lokum” (Turkish Delight) and not “ras al hanout” which is one of my store cupboard spices for making cous cous and tagines.